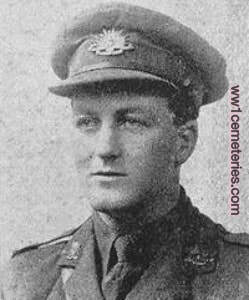 Alfred William Belsey, D. C. M.
5th September 1916, aged 30. Son of Edward and Edith Belsey, of Hastings. 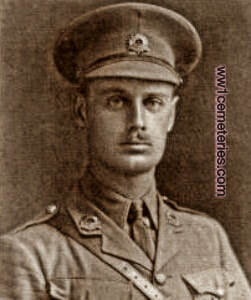 29th July 1916, aged 27. Son of Alfred and Florence Brocklehurst, of The Red House, Melton Mowbray. Born at Melton Mowbray. 20th July 1916, aged 31. Son of Henry and Mary Brown, of 7, The Terrace, Wokingham, Berkshire. Late of South Godstone, Surrey. 13th June 1918, aged 24. Son of Robert Ramsey Caldwell and Mary Jane Caldwell, of Happy Valley, Winton, Queensland, Australia. "I was close by when he was killed instantly by a machine gun bullet through the eye and out the back of the head. It was in front of Hamel and Corbie whilst holding the line at 9.15pm." 1st August 1916, aged 22. Son of William Ashcombe Chamen and Marion Mabel Chamen, of Royal Chambers, Park Place, Cardiff. Born at Harlesden, London. Educated at Reading University College. Joined in Aug., 1914. Was first in the South Wales Borderers, afterwards joined the Regular Army in the Bedfordshire Regt. 22nd August 1916, aged 38. Son of Eunice Griffiths, of 25, Crown Yard; Little Dawley, Dawley, Shropshire. 9th September 1916, aged 19. 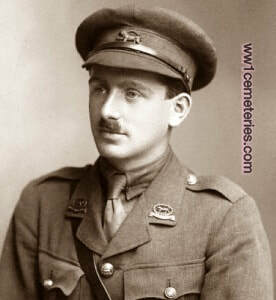 Son of Beatrice and the late Henry Edward Cousans, of Binfield, Berkshire. Educated at the Wick Hove, Uppingham, and R. M. College, Sandhurst. 4th September 1916, aged 24. Son of Louisa Alice and the late George Cressall, of 1 11, Stamford Road, Birchfield, Birmingham. 9th August 1916, aged 22. Son of the Rev. W. G. R. and Selena de Blaby, of Kemberton Rectory, Shifnal, Salop. 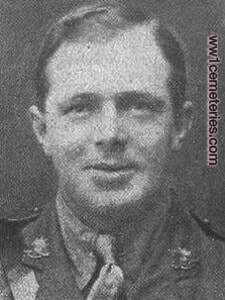 Arthur Robinson Eastburn, M. M.
24th June 1918, aged 24. Son of Thomas and Elizabeth Eastburn, of Sydney, New South Wales, Australia. Native of South Melbourne, Victoria, Australia. 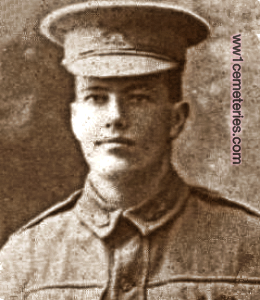 A labourer from South Fremantle, WA prior to enlistment, Pte Eastburn embarked with the 12th Reinforcements from Fremantle on HMAT Ajana on 22 December 1915. 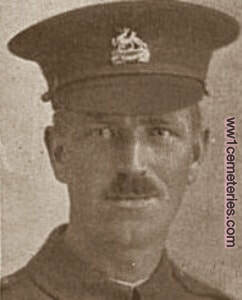 On 29 August 1918 he was awarded the Military Medal for his very excellent work and gallantry on 5th April 1918. On 24 June 1918 he was killed in action near Hamel, France. Killed instantly by a shell whilst manning a Ration Dump near Hamel. 29th Bn. 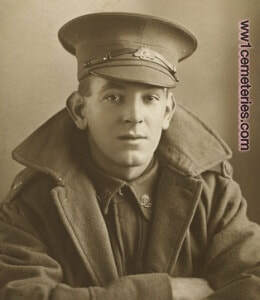 Australian Infantry, A. I, F.
8th August 1918, aged 27. Son of Alexander Robert and Irene M. Fowler, of Avoca, Tasmania.Husband of G.M Fowler, of 25, Ridley Road, Forest Gate, London, England. 17th September 1916, aged 40. Son of George and Clara Harrison, of Poole, Dorset. 17th September 1916, aged 23. ​Son of James and Mary Herbison, of 10, Albion Mansions, Marine Parade, Hastings. Late of Stapenhill, Burton-on-Trent. Two days later his brother fell at Vimy Ridge. 6th August 1918, aged 25. Son of Thomas and Caroline Hines, of 14, Anderson Street, Zeehan, Tasmania, Australia. 13th August 1916, aged 19. Son of Mr. and Mrs. John Hutcheon, of Lyall House, Jordanhill, Glasgow. 2nd August 1916, aged 31. Son of Mrs. and the late Mr. John MacHutcheon, of Glasgow, His brothers Alec and Anthony also fell in the war and are buried at Edinburgh (Liberton) Cemetery and East Mudros Military Cemetery respectively. 12th July 1916, aged 38. Husband of Florence I. McClure, of Johannesburg, S. Africa. Served in the South African Campaign with Rand Rifles. Late assisant Town Buyer and Controller of Stores to Johannesburg Municipality. Son of Michael and Mary Jane Maddigan, of 192, Rose Street, Darlington, Sydney, New South Wales, Australia. 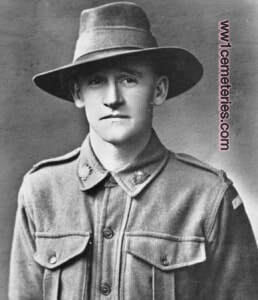 A farrier of Darlington, Sydney, prior to enlistment, he embarked with the 10th Reinforcements on HMAT Ceramic (A40) on 7 October 1916. 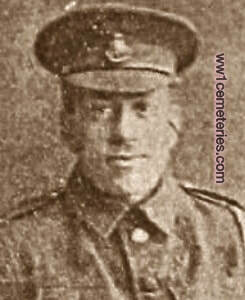 Pte Maddigan died of wounds received to the head near Morlancourt, France, on 14 May 1918. "We were acting as a covering party for an attacking and advancing party from our left, in a counter attack after the Morlancourt Street in the Heilly sector on 14th May 1918. we had mounted the fire step of our trench and were engaging the Huns. Madigan was sniped clean through his steel hat and through his head, he fell at my feet. 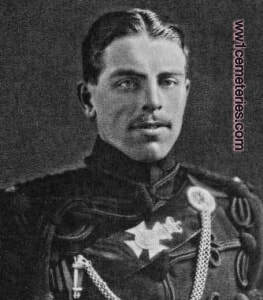 After about 15 minutes he was taken by stretcher bearers to a Dressing Station, there he lingered for a short time and died."